" A MUSIC CAMP IN NATURE... FOR BEGINNERS & WEIRDOS "
Come camp out with us in the wilderness for a long weekend, have delicious wholesome meals prepared for you, dance and sing to your heart's content and, best yet... Learn the solid basics of how to play an instrument while taking inspiration from the pristine natural surroundings. Through a melding of environmental education and musical instruction, we've crafted a unique and powerful gathering that fosters a deeper visceral connection with both music and the natural world. Camp has a back to the land, 60s/70s country folk vibe. We pay homage to old-time musical traditions like family friendly, inclusive jams, social dances and a profound respect for nature. You'll come away from the weekend feeling more grounded and inspired to create in your day to day life! We are family friendly and welcome participants of all ages. Music lessons are geared towards beginner to novice musicians. Wee ones 3 years old or younger will need a constant companion but older children are encouraged to participate in the musical and environmental programming. All young people under 18 will need to be accompanied at camp by an adult. Babies under 2 are free! More advanced pickers and the curious are encouraged to come as guests at a discounted price to jam, eat, dance, steep in the natural beauty and contribute to the tapestry of camp. This year's camp will be hosted at The Galiano Conservancy Association's Millard Learning Centre on Galiano Island, a southern gulf island known for its natural beauty and abundance of wildlife. The island is easily accessible via public transit from Swartz Bay on Vancouver Island or the Tsawwassen terminal near Vancouver. Pick up is available upon request at Sturdies Bay, Galiano's ferry terminal, for those walking on the boat. Booking a ferry ahead of time is highly recommended whether driving or walking on via BC Ferries. *We will provide a shuttle to and from camp on Galiano for these sailings, walk on and vehicle reservations are highly recommended, especially on holiday weekends! Final concert and farewell celebration will take place on Monday afternoon. Camping will remain open until Tuesday, October 10th for those who wish to spend a final extra night or miss their ferry (it happens!). An informal brunch and final send off is planned for those who stay. Expect music lessons, nature education, wild card workshops and crafts during the day... Social dances, campfire jams, and concerts by night. Lessons and workshops are expected to be offered in guitar, banjo, fiddle, mandolin, choir, and dance. More instruments may be added so let us know if there is something you'd like to see. Lots of free time will be built in to practice, explore the natural surroundings, nap and relax. Healthy, wholesome, fresh food prepared with love from our family to yours! Kicking off with dinner on Friday night through to a farewell brunch on Tuesday, campers are fed three full meals a day with snacks. Be sure to let us know if you have food sensitivities in advance. This event is camping only so be sure to bring a waterproof tent, warm bedding, warm clothes and all your camping essentials! The programming at camp is designed to foster the powerful connection between music, nature and the human spirit. To achieve this we blend experiential environmental and musical education with fun and meaningful activities. How? 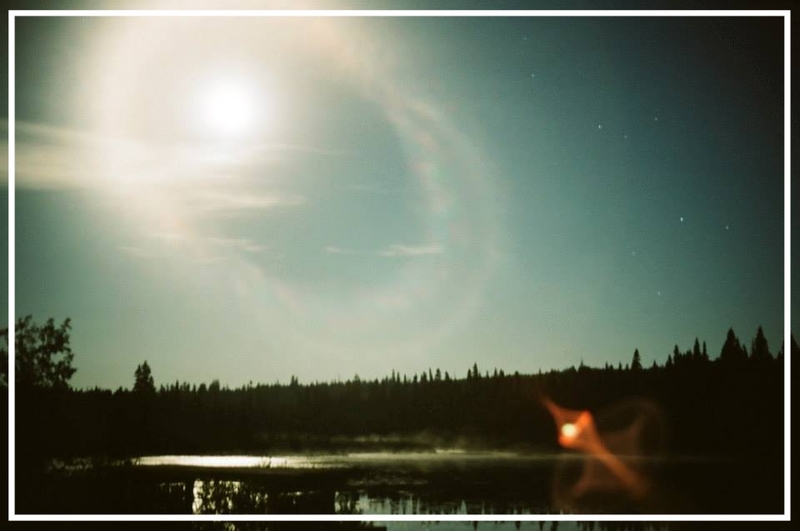 ...by introducing you to local ecosystems and species, hosting guided evening camp fire jams, building in unstructured practice time in nature and pulling songwriting inspiration in the natural world. This is a wildness camping event so please come prepared to stay in a tent for 3 or 4 consecutive nights (yay!). You will also need to bring the instrument that you wish to learn to play along with you, unless you chose to take just choir or dance instruction instead. There is a heated hall where meals and dances will be hosted. Lessons and activities will take place outside in nature, with back up plans in place in the case of rain. There is fresh water on site, pit toilets and outdoor solar heated showers for the brave. Bring a waterproof tent, warm bedding, bug spray, warm clothes and all your camping essentials. If you don't have camping gear or an instrument of your own, cost effective rentals are available, just drop us a line here and we will fill you in on the details. The Wooly Bears are a super lovely Vancouver based old-time band. They are crazy about square dancing, calling and jamming till the wee hours of the morn! They are keeping the American old-time traditions alive with regular square dances and the formation of the first annual East Van Old Time Social (EVOS) this past spring. The Wooly Bears will be leading the nightly square dances! Some members will be instructing lessons and workshops too... Details of this coming soon! Josh was bitten by the Old-Time music bug 4 years ago and has been deeply immersed ever since. Since then Josh has learned to call traditional southern squares, plays the fiddle and guitar with the Wooly Bears, and is working on clawhammer banjo. Josh will be teaching old-time guitar with an emphasis on tradition and how to accompany the fiddle. Topics will include: the boom chuck rhythm, groove, chord choices, bass notes and runs, keeping time, tuning, learning to listen and putting it all together. Ben has twice been named the Saskatchewan Grand Champion Fiddle Player, is a perennial competitor at the Canadian Grand Masters Fiddle Championship, and in 2005 was an inaugural recipient of the Lieutenant Governor’s Celebration of the Arts Pin, in recognition of a significant contribution to the arts in Saskatchewan. Ben has been playing in bands since he was thirteen. A classically trained musician, he has played with a wide variety of groups. In addition to his stage work, Ben’s skill as a studio musician is widely regarded and has been utilized by many other recording artists. Ben has released three albums “Serves Me Right”, “the Parlour Sessions” and “The Way It Is”. His virtuosity on the violin is well known… but Ben also plays the guitar, bass, mandolin, banjo, steel guitar, as well as writing and arranging music. After being featured in the spotlight internationally, Ben continues to work with some of the best performers in the business. He is an award winning record producer and is has an exceptional talent for drawing the best out of an artist. Rob Butterfield is a singing songwriter from Vancouver, BC. Hiss musical style is described as rootsy-country-folk-rock. It takes you back to the subtle feel of a music steeped in tradition. He has played in all different types of rootsy arrangements, from acoustic bluegrass to all electric rock and roll. His influences go from Neil to Bob to Townes or Gram and jump forward to the present day Gillian Welch and Neko Case. He likes long bottles of wine and short walks on the beach. A native to the evergreen forests of Monroe, Washington, Bex discovered her love for Oldtime music at the 2012 Portland Oldtime Music Gathering. Since then she's been fiddling, guitaring, square-dance-callin' and dancing up a storm. 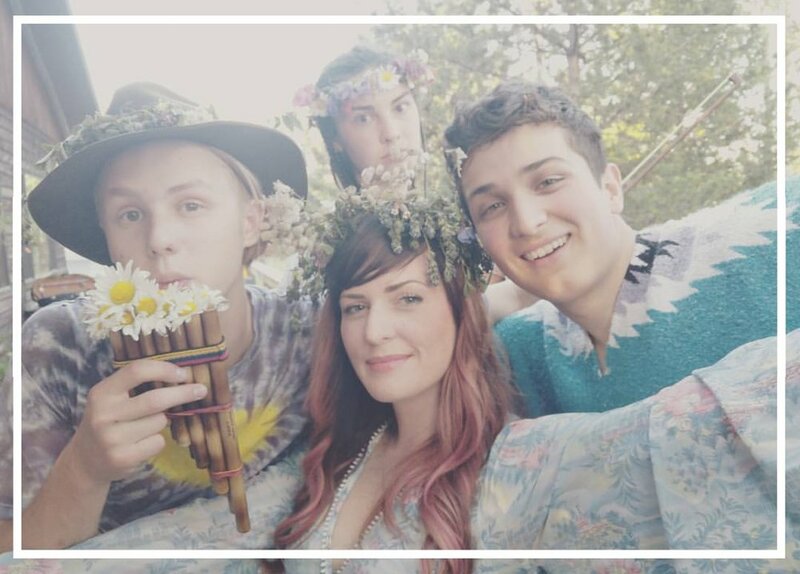 After going to heaps and loads of festivals and camps, she realized most of her best musician pals were Canadian, and made the move to BC in 2014. In Vancouver, she formed the Wooly Bears, a band that hosts monthly square dances in the city and plays for various community events. Bex is a founding member of EVOS (East Van Oldtime Social), which kicked off it's first yearly event in April 2017. She also founded LiveWire, a fusion dance in Vancouver that features a different blues-inspired band each month. 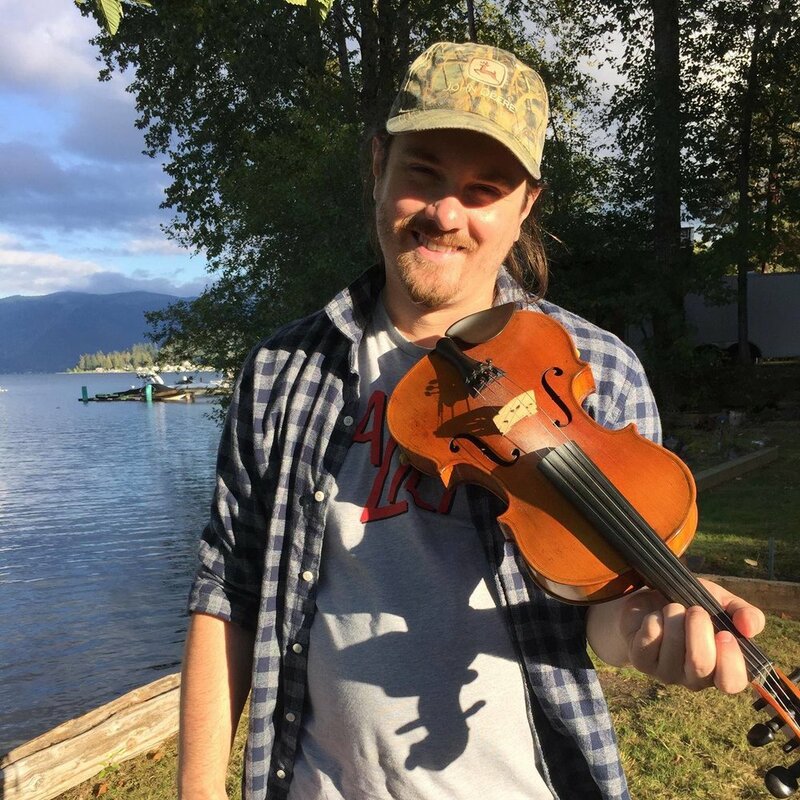 With a violin in his hands since age four, Damian Ritchie began playing the fiddle music as a teenager in his family's log house in the Sothern Interior of BC. In Fall 2011 he moved to Victoria and recorded "Livin' On The Island" in 2012. Up until 2016, he hosted public bluegrass and oldtime jams each week, and became a Victoria Bluegrass Association Board Member producing numerous concerts, square dances and multi-day festivals in Victoria. During summers, with The Stowaway Stringband - a wind-powered armada touring by sailboat on the Salish Sea, he was busy performing at music festivals and at almost every pub, market and marina in the Southern Gulf islands. A multi-instrumentalist, Damian lives in Vancouver in a commercial space where he builds hand crafted banjos, re-hairs violin bows and maintains other stringed instruments. He is Co-founder of the annual four day long East Van Oldtime Social (April 2018), and hosts monthly square dances and flatfooting lessons at the Anza Club with the Woolly Bears. Damian will teach different tunings on your violin, opening up a range of new repertoire, focusing on bowing techniques and learning melodies by ear, as an introduction to old time fiddle.